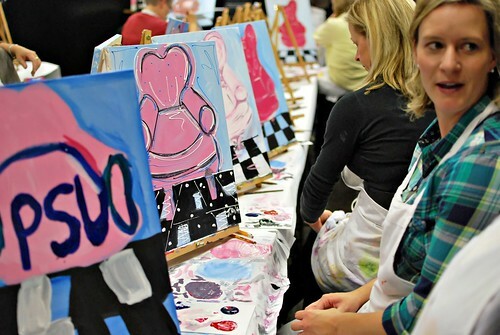 I had girl's night out last night and we went to a cool place called Sips n Strokes. 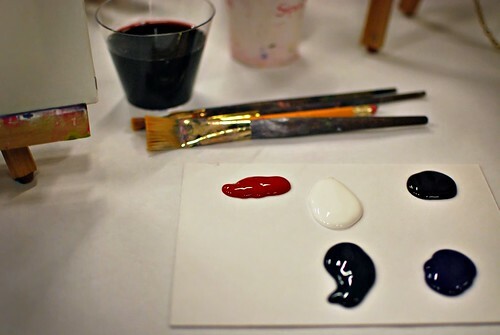 You bring in your beverage of choice and the instructor walks you through painting a picture. It was a nice, relaxing, and much needed night out. Last night's theme was a chair. Here's how mine turned out. The instructor added the puff paint to give it a little more dimension. Wow! Awesome job!!! I would love to do something like that. That sounds like an awesome girls night out. What a fun and creative thing to do. Your chair is wonderful. Nice job Jen! Lucky, lucky girl! What a great place to have to go "unwind" at. And I LOVE the finished chair...it is very cool. What a fun place! 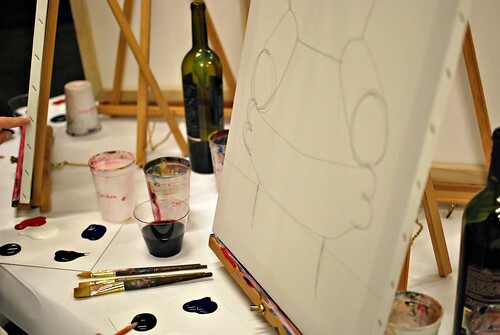 I can see that the wine would help with the art! 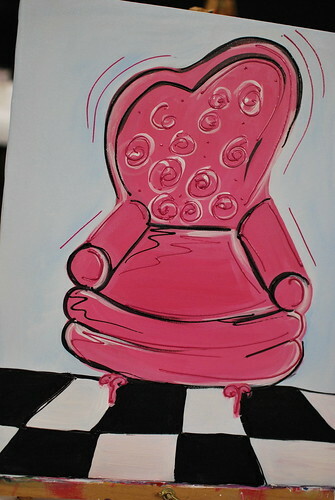 :) Love your chair! So cute! !